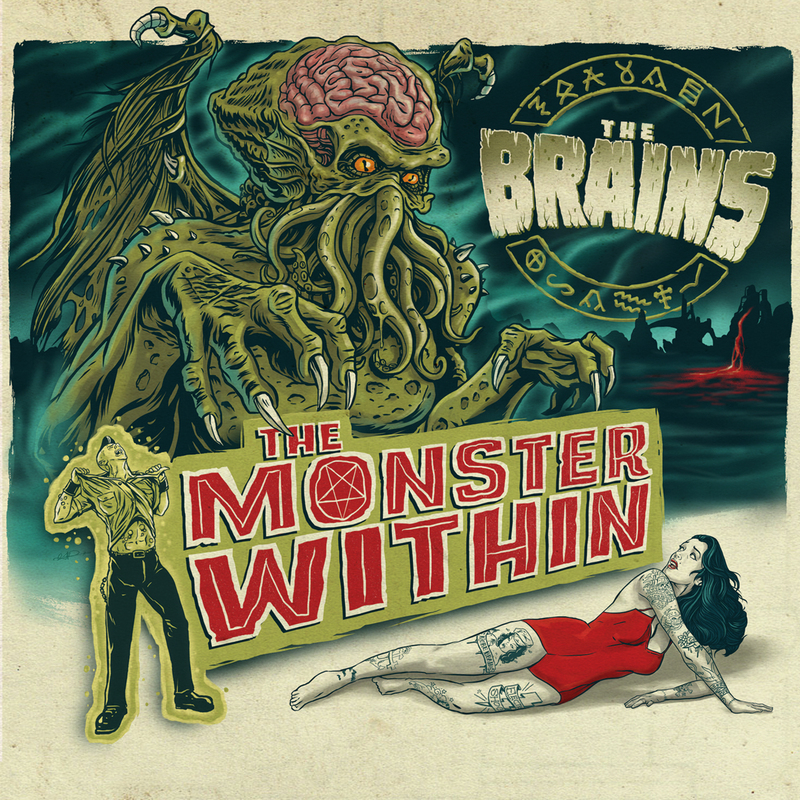 THE BRAINS ‘THE MONSTER WITHIN’ Out on the 15th of April on People Like You. More Brrraaaaaiiinnnsss!!! What is the zombie’s favourite food ? Yeah right, fresh, bloody and juicy brains! That must have been the reason for this three insane and crazy guys to found the horrorpunk-psychobilly band The Brains in 2002 in Montreal. The Brains are Renè De La Muerte, who sings and plays guitar, and Johnny Montreal (contrabass) and drummer Franck O’ Brains. Johnny and Franck also played in The Ripcordz before. 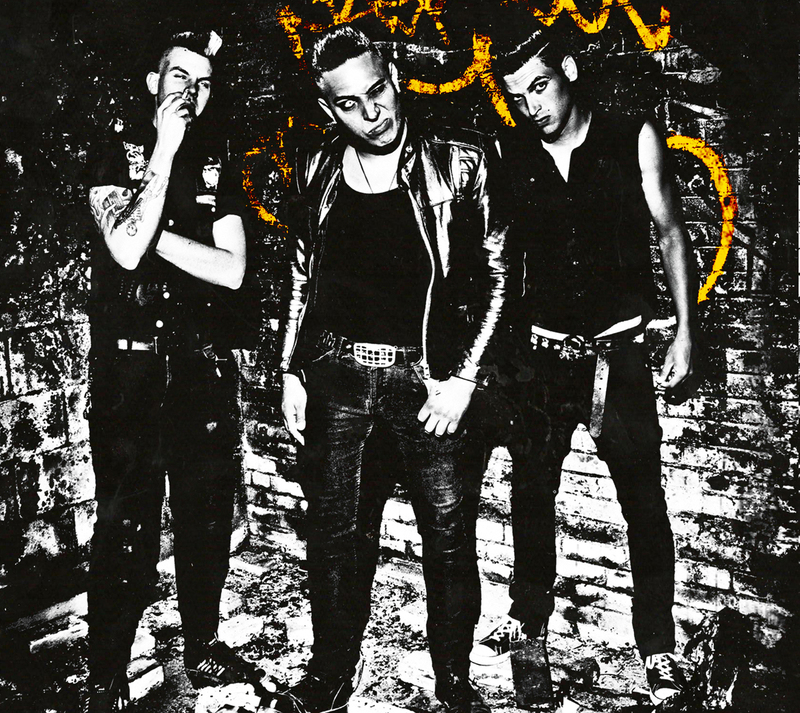 2005 The Brains released their first record called “No Pain No Brain” It was an excellent mixture of punk and psychobilly what made the girls dance and the guys being a zombie – so did The Brains. In Germany their debut record was also releases by Crazy Love Records. After that a lot of shows and tour dates with such great bands as The Creepshow or Devil ‘s Hotrod took place in the band history. Then they released the records “Hell ‘N Back”, “The Brains” and “Zombie Nation”. On “Zombie Nation” from 2010 Collin The Dead replaced Johnny Montreal on double bass. In 2011 they released their last record up to now called “Drunk Not Dead”. At this point the band also changed their drummer. Matt Kadavar is the new guy on the drums. They also decided to involve a second guitar player. This gap is filled by Brad Graves. Now the strong and bloody quartet from Canada is back with their newest record. “The Monster Within” will scare you to death and show The Brains from their most shocking and insane, but also from their best and evil side. The Monster Within is released on 15th April 2013. This entry was posted in Press Releases and tagged Canada, Century Media, Folk PUNK, People Like You, People Like You records, PLY, Psychobilly, Punk, Rock N Roll, Rockabilly, Simon Nott PR, Simon Nott., Simon Says PR, The Brains, The Brains The Monster Within Free Download., The Monster Within. Bookmark the permalink.